Danielle’s Review: Bestselling author, Amanda Hocking, took the self-publishing world by storm when she began pulling in millions of dollars from her paranormal young adult ebooks. Her success made ebooks an even more respectable business and a lucrative one. 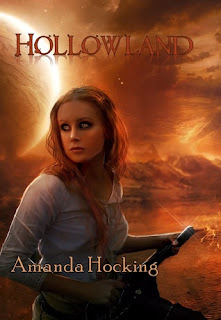 I was excited to have the opportunity to read HOLLOWLAND, the first in an apocalyptic series. Remy King bursts forth out of a zombie compromised quarantine unit in the very first pages. With a few friends in tow, she must make her way across the zombie wasteland of what’s left of the United States in order to find her brother who’s been carted off by the government for study. Her adventures through ghost towns and cult compounds are dark, graphic and gory. Besides the interesting addition of a Vegas show lion to aid her in zombie killing, the majority of the action is the repetitive and descriptive slaughter of decomposing, flesh eating monsters. Remy is amazingly deft at annihilating the walking dead, and her heart is rock hard. She is a strong, centered character, but at times I felt sad at the celebration of her heroic status. Not only was her stamina amazing, but the young girl could walk away from dying friends, kill vigilantes without blinking and push away any feelings of true love. Her only human quality seems to be her devotion for her brother who is immune to the contagious zombie virus. There is no question that Ms. Hocking is a talented, unique storyteller. The action never stops, but at the same time, neither does the blood and gut letting. At times I actually felt nauseous, but the story, much like a train wreck, has an irresistible draw that lured me back to reading even after I had to put it down. Being the first in the series and with an open, unresolved ending, most readers will be anxious to pick up the next zombie fest in the series. Although it was a crazy ride, I’m going to have to pass. I enjoyed the quirky talent of this runaway bestselling author, but HOLLOWLAND felt a little sold out for my taste; going for shock value over what could have been true literary genius. I do look forward to picking up another one of Ms. Hocking’s books, but I’ll have to pass on the zombie brains. About the Author: Amanda Hocking is a lifelong Minnesotan obsessed with John Hughes and Jim Henson. 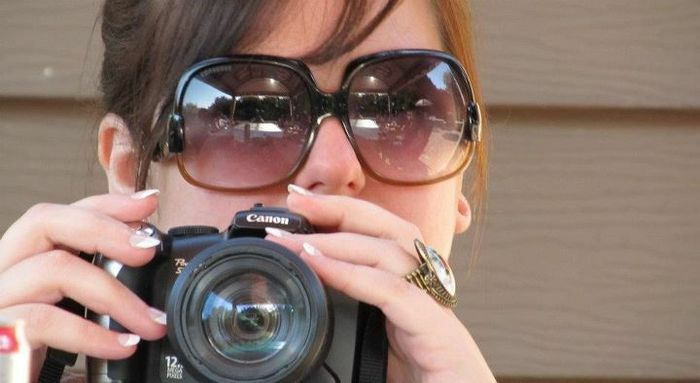 In between making collages and drinking too much Red Bull, she writes young adult urban fantasy and paranormal romance. Summary from Amazon: It is 2033, and the world hovers on the edge of explosion as unexplained crop deaths lead to severe global food shortages. In the United States, the Sickness is taking lives slowly, creeping its way into every family. Thirteen year old Fi Kelly has already faced the Sickness in her own family, toughening her at a young age. But when her dying father makes a shocking confession, Fi realizes that her toughness will be pushed to its absolute limits. Saddled with an impossible secret and the mission of saving her little sister, Fi sets out to transform herself into the warrior that she must become to survive the coming collapse. Along the way, she will discover that evil can be accidental…and that love can be intentional. Crystal’s Review: I will admit this book was a slow read for me at first. I struggled with the idea that a 13yr old girl managed to perfect her skills in so many different areas in such a short amount of time all while keeping a terrible secret to herself. However, I am glad that I continued reading because as the story and characters developed the premise became more believable and more interesting. The first thing that caught my attention in this book was the reason behind the main problem of the story. Many authors have done the strange virus turns people into zombies thus causing an end of the world story line scenario, this author choose a scenario that hits much closer to home and because of that the story seems more real and intense. The author also managed to seamlessly weave a bittersweet love story into this sad yet empowering story of a young girl forced to grow up not only to protect herself but to save her family. 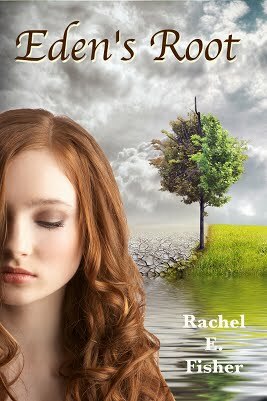 Eden’s Root is a wonderful story and a must read for all. Content: Violence and graphic descriptions of violent scenes. Mild sexual tension among characters. About the Author: Rachel E. Fisher is a wife and entrepreneur living and working in Florida. Though she grew up in the northeast, she can’t give up the sunshine and beaches of her adoptive home. Her work is fictional and would be classified as science-fiction because it is rooted in science…but it is not the typical with robots, space travel, or aliens. This particular story is focused on realistic worst-case scenarios because those are what she finds most intriguing right now. Favorite pasttimes…mostly outdoorsy things, and overuse of ellipsis. 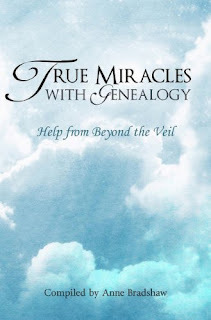 “True Miracles with Genealogy” is a collection of family history research stories written by ordinary people with extraordinary experiences. These events are part of the reward that comes from doing genealogy. They are the fathers and mothers turning their hearts to their children-the spiritual moments and help that comes from beyond the veil. Each account is unique. Each is a miracle. Each will inspire readers as they come to the heady realization that family history work is of great consequence, and there really is a world of spirits. Before I was a blogger I was a family history addict. As a little girl my dad and I would to go the the Family History Library and pore over rolls of microfilm on the manual turn handle readers. In college I worked at the campus family history library helping patrons find their ancestors in many avenues including census records. Then I got married and started working from home on websites like ancestry.com and roots.web. My children came along and other things took up my time. Years later, I am realizing it has been far too long since I have done any genealogy. Anne Bradshaw’s book rekindled in me the desire to find my roots, to begin again the search for those who have gone before. She has complied stories from every day ordinary people like me and professional genealogists. Each one is inspiring and several had me in tears. If you have never filled out a pedigree chart or looked for someone from your family tree now is the time to start. True Miracles With Genealogy is a wonderful jumping off point as it plants the desire in your heart. It can be read in more than one sitting since each chapter is an individual story. My favorite account was “My Father Gave Me My Identity Back” by Sandra Taliaferro p. 83. I believe every reader will find a chapter that speaks directly to them. Thanks so much to Anne for sending me a copy of this book. My resolve to seek after my dead has been renewed since reading it.